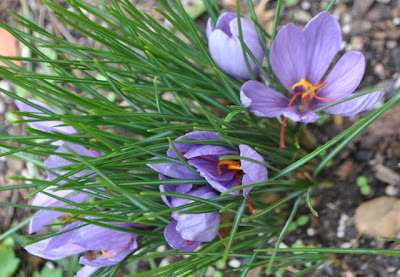 The saffron has multiplied and it is probably the prettiest that it's ever been. As you can see from 2008, the 2012 saffron is much thicker and prettier! But have enough blooming this year that I should have a nice harvest that will last me until this time next year! 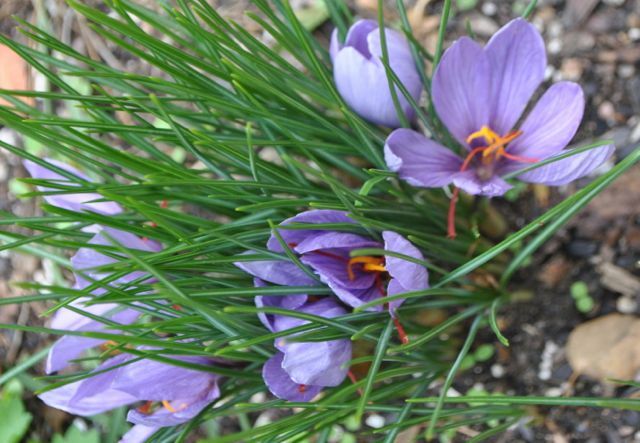 That are worth their weight in "gold"
We'll enjoy saffron flavored baked goods and stews and such this winter. 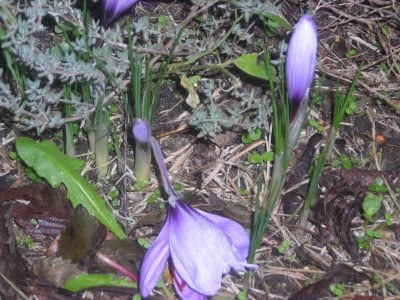 The crocus were planted ages ago. And they've bloomed faithfully every year, although never as thick as this year. And brighten all of our fall days. And in the kitchen . . .
One stalk produces MANY sprouts -- way too many for one meal for the two of us. but from Trader Joe's garden! We had them for dinner tonight . . . It was a great side dish with our oven fried chicken. 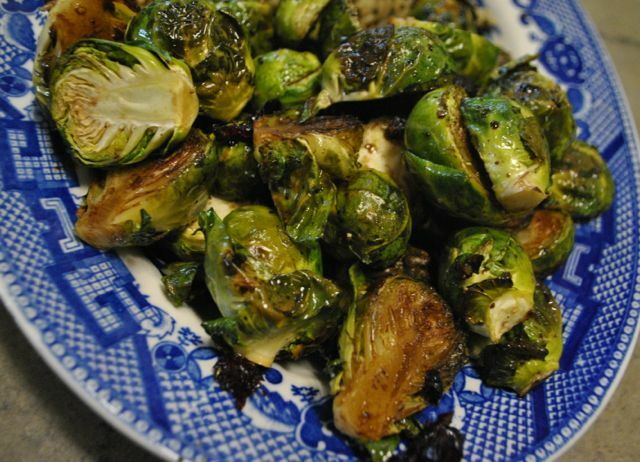 Roasted is really our favorite way with sprouts. Our second favorite is sautéed with olive oil and a bit of bacon and a splash of Balsamic vinegar. for spring bloom next year! It was a beautiful spring. Must hold on to the good of the year despite the summer heat and drought. 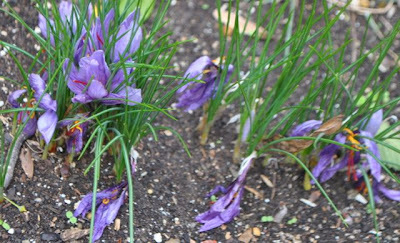 Glad your saffron is doing well. Have not tried growing it. I'm not sure I've ever eaten brussel sprouts. Bulbs to plant here too, but not many this year. I divided several daffodil clumps last spring to spread around. Hopefully, next spring will have more areas of sunny faces. Have a good weekend. Yes...saffron....looks like a gold mine there. 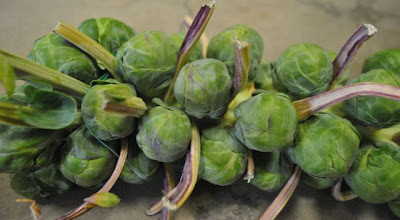 I grew brussel spouts in the 70's and had so much. My kids were little and hated them. I froze them like crazy. I think people eat them more now and Your dish looks wonderful. 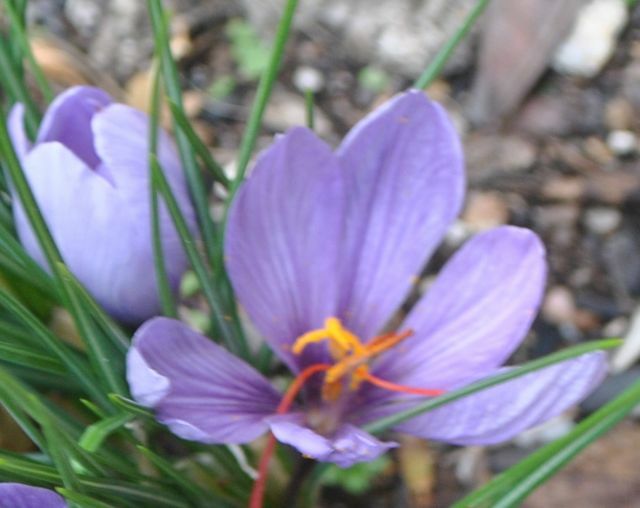 I always thought about growing my own saffron. Glad to hear someone has done this! YuM!!! I love brussel sprouts! As a child, I feel in love with their name. My MoMa cooked them for me and I tried to eat the whole bowl full!!! Which was fairly easy because no one else in my family cares for them!!! Good luck with your bulb planting...On Crooked Creek if it's a bulb...it belongs to the squirrels!!! Pesky critters eat them! Mmm I love roasted brussels sprouts! 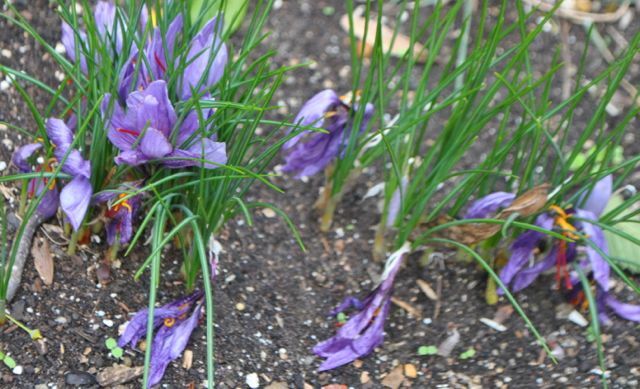 What kind of crocus blooms in the fall? Ours are early spring bloomers. (haha ... bloomers!) I don't think you get usable saffron from them. Don't you just LOVE how the sprouts look on their wacky column? They are sweetest if they've gone through a frost before cutting - kids especially love seeing sprouts in the field. Such funny veggies.